Queer Easter took place the first time in the year 2000. It is a seminar hold by IUSY , YES and IFM-SEI . 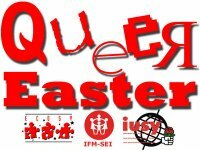 Queer Easter is organized by an international team and hold at the educational center “Kurt Löwenstein” of the german Falcons .